Sandro Reyes of the Makati Alaska FC Team played hard for the Championship at the Finals of the FC UFL League Cup last June 29 at the Emperador Stadium, McKinley Heights against the Loyola Meralco FC Team. 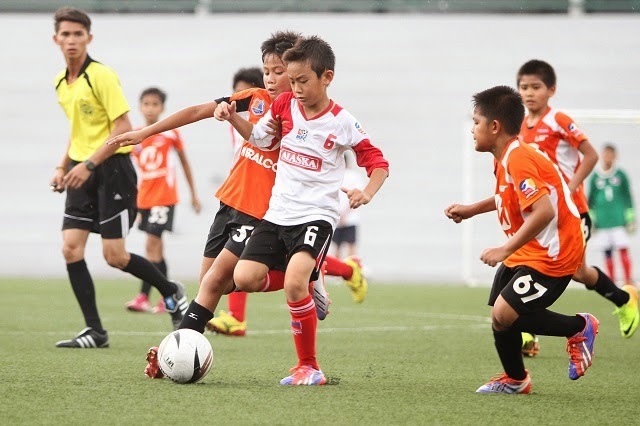 The Alaska FC Team is proud to make it to the finals and winning 2nd place in the Boys 9 and Boys 11 category. Sandro is a scholar of the prestigious FC Barcelona Escola and returned to Manila to reinforce the Alaska FC Team. Become a champion too and join Alaska’s sports programs now! For more information, check out www.alaskamilk.com and live tweets and updates @ALASKAsportshub.